BELIZE CITY, Thurs. July 14, 2016–Belizeans can be tolerant and forgiving in so many areas of life that many times professionals, who should know better, take advantage, but one woman who has been through pain and suffering because of two botched surgical procedures decided that the best route of redress to follow was through a medical malpractice lawsuit, an unusual area of civil claim in Belizean litigation. On Tuesday, July 12, Claim Number 154 of 2013 between Alice Arana-Gillett, the claimant, and Dr. George Gough, the defendant, concluded in the Supreme Court of Justice Courtenay Abel, who ruled in favor of the claimant and awarded general and special damages to her totaling $52,520.24. Apart from the damages, Justice Abel also ordered Dr. Gough to pay 50% of the claimant’s cost of court, which still has to be agreed upon or assessed, and six percent interest from the date when the claim was filed. Myles said they kept pushing forward because they knew what was done to her had to come out in the light. This happened with this specific doctor and other patients, she said, and he never admitted that he was wrong. She is very happy with the judgment, but a little disappointed with the amount of damages that was awarded. Myles said that they were seeking damages in the range of $200,000. “The judge made us argue over damages and then the court fixed the amount,” she said. 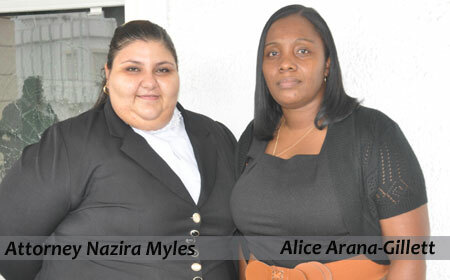 Gillett, the claimant, was 33 in October 2009 when she developed severe pains and was rushed by ambulance to a private hospital in Belize City. After a discussion with her family, Gillett decided to do a laparoscopic surgery that was supposed to cost $7,500, but was reduced to $5,235. The surgery would have removed her gall bladder. Gillett was told that the surgery was a simple procedure and that she would be up in a short while. On December 18, 2009, the surgery was performed and the following day Gillett was discharged from the hospital. Two days later, on December 21, Gillett began to notice that her skin and nails had started to become yellow and she began to vomit excessively and had pain in her abdomen. When she went back to Dr. Gough, he prescribed medication for her and told her not to worry about the yellowing of her nails and skin, and he sent her back home. Gillett’s family members were unhappy with Dr. Gough and they took her to another doctor who told them that she was not supposed to be sent home. As a result of the findings of the other doctor, Gillett was readmitted to the hospital and a diagnosis indicated that she was suffering from sepsis and that the bilirubin in her blood was excessive. Dr. Gough, according to Gillett, did not explain anything about the bilirubin condition, which is potentially life-threatening and can lead to liver failure. His response was only to put her on a heavy dose of antibiotic, she claimed. Gillett would eventually be operated on a second time and eventually had to leave the country to seek medical treatment abroad, first in Merida, Mexico, and then to the United States. The judge wrote in his 28-page judgment that Dr. Gough ought to have come clean with Gillett and that he ought to have given her an explanation for the jaundice and the bilirubin. 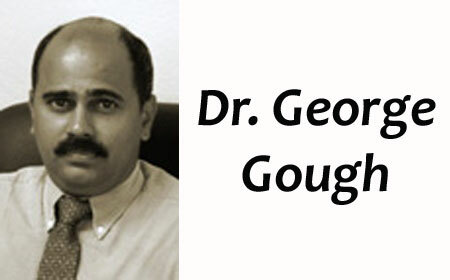 Dr. Gough admitted that he did not specify to Gillett what was happening to her.